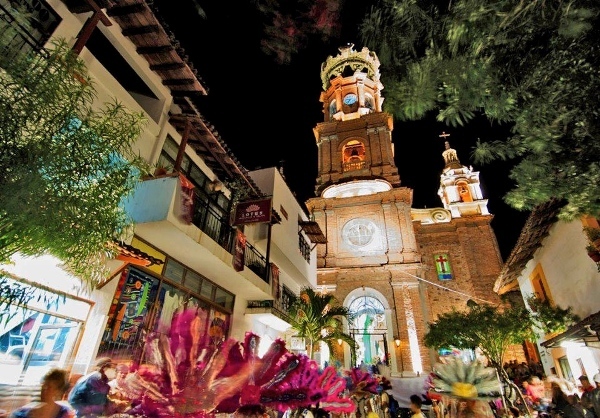 Mexico is a country steeped in culture and tradition, and at no time of year is it more apparent than in December. Celebrations take place from December 12 through January, during which gifts are given, feasts are consumed with family and friends and religious holidays are observed. Here is a brief overview of the December and January holidays in Mexico. Each year on December 12, public celebrations are held to honor Mary, the Virgin of Guadalupe. This is not a public holiday but a religious one. It is based on the belief that on December 9 & 12, 1531 Juan Diego encountered the Virgin Mary at the Hill of Tepeyac near Mexico City. This day, December 28, is in remembrance of the story in the bible in which King Herod orders the execution of male babies in Bethlehem in order to kill baby Jesus. Like on April Fool’s Day, Mexicans play tricks on their family and friends. This is not a public holiday. Las Posadas originated in Spain, but for the most part are now celebrated only in Mexico and parts of South America. From December 16 – 24, Mexicans go from house to house and reenact Joseph and Mary searching for a place for Jesus to be born. Posada is also the word Mexicans use for “Christmas party”. In Mexico, Christmas Eve is spent with family and friends. In general, dinner is eaten very late, around 11pm or 12am and turkey, romeritos, bacalao, apple salad, ponche and sidra are served. Like in many other countries, many families attend midnight mass. On Christmas Day the celebration continues with leftovers and the exchanging of gifts. Christmas Day is a public holiday in Mexico. For the most part Mexicans have a late dinner with family and friends on New Year’s Eve and then go out after midnight. Along with fireworks and firecrackers, there are many traditions one must follow in order to have a great new year, like eating 12 grapes at midnight (one for each month) and wearing red (for love) or yellow (for money) underwear. This day, the 12th day after Christmas, celebrates Magi bringing gifts to baby Jesus. Mexican children receive gifts on this day, brought by the three kings, Melchor, Gaspar, and Baltazar. In general Mexican children also receive Christmas gifts. The Rosca de Reyes is a pastry, something like bread, decorated with dried and candied fruit, that is generally eaten on January 6. Small plastic baby Jesuses are hidden in the bread and the person who receives one in their slice must buy the tamales for El Dia de la Candelaria (February 2). Why not celebrate the holiday season in Mexico with us? See our Specials & Packages here.